If you have a few 1.44 MB 3.5 inch floppy disks laying around, you might as well preserve them to show it to your grand kids because you won’t be able to get them anymore. Sony today confirmed that it will discontinue the production and sales of its 3.5-inch floppy disc by the end of this fiscal year. Sony corporation has had about 70% of the market share in the floppy disc market but is set to retire it by the end of March 2011. Considering the success of large capacity storage devices such as the USB drives and also the very new Solid state drives, Sony had decided it was time to bid good bye to one of the most innovatives and intriguing inventions ever. This means no more floppy disks for your flashy Sony Mavica camera nor will you be able to do this.. 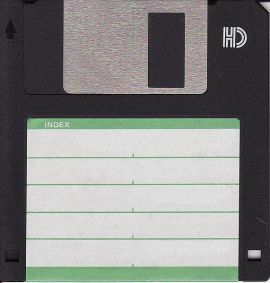 It was the floppy drive that made carrying data in your pocket from one computer to another possible. It might aswell have helped engineers understand the importance of data being carried from one place to another. Sony launched the world’s first 3.5-inch disk back in 1981. They were initially used as a storage medium for word processing. While Sony has been banking good on floppy shipments shipping out a record 47 million in 2002 its recent figures were not so impressive. Due to other storage devices flooding the market that number fell to 12 million in Japan in 2009. It is interesting that 12 million were actually sold in Japan in 2009! Quite a record for the floppy disk. Well I guess it was a nice long run for the floppy drive but I am sure we will miss them. Though they are gone their legacy will be left behind, after all we still look at these icons just about every single day! Walmart and other stores still sell them, 100 for $30 so you might stock up, actually thats a little expensive, 100×1.44 = 144 MB for $30!, I might instead get a 16gb usb flash drive for $20, thats 16×1000=16000MB for $20! I know it sounds dorky, but I had a “funeral” for the floppy disk.